Freymiller Family Members Support Truck Drivers | Freymiller, Inc.
At Freymiller, it’s no secret that our truck drivers are the lifeblood of our business. We attribute much of our success to the long hours our drivers put in away from their families. This month is dedicated to appreciating and telling the stories of the families who support them when they’re out on the road and when they return home. 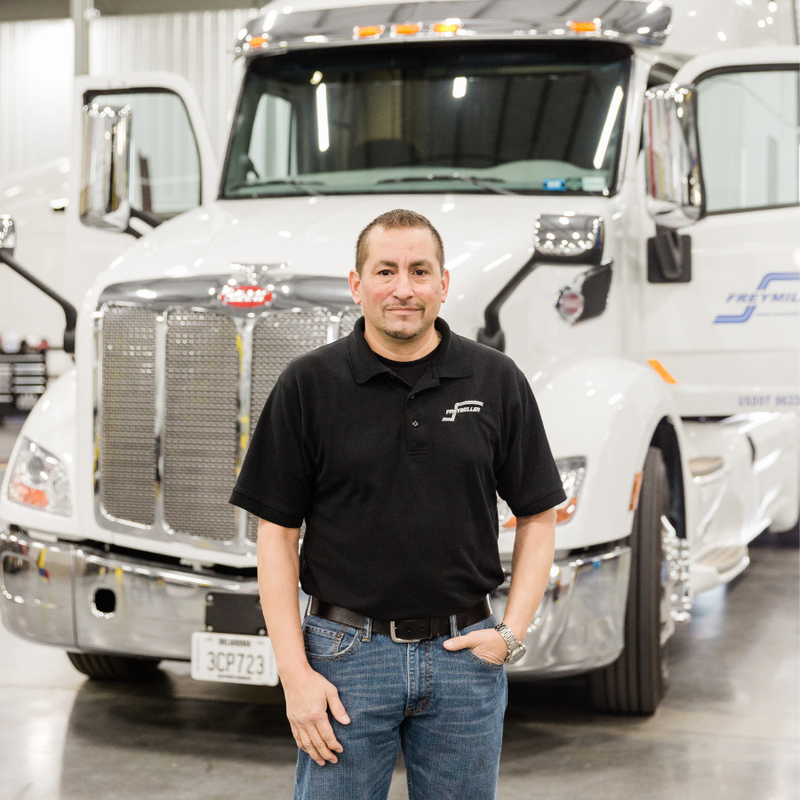 Steve Woolard has been driving for Freymiller for almost three years. Although his career with the company is still budding, his wife Deborah says Steve enjoys the work he does immensely. The Woolards live in Houston, Texas, and although Deborah has yet to venture onto the road with her husband, she says the two communicate frequently throughout his various trips and appreciates being able to have that contact with him when he’s not here. Jennifer Mills, however, is a more seasoned spouse of a Freymiller truck driver. Her husband Duane Mills has been driving for Freymiller for 25 years—over 2 million accident-free miles—and the two have fallen into a familiar routine. Although their communication styles may differ, both Deborah and Jennifer understand that the time their husbands spend at home with their families is precious. Deborah also tries to make her time with her husband extra special. With their husbands out on the road so frequently, Deborah and Jennifer are usually left to their own devices. As matriarchs of the family, they hold down the fort to make sure the bills are paid, any broken appliances are fixed and the grandchildren well spoiled. With support systems like these, it would be hard not to appreciate everything our drivers do. Thank you, Deborah and Jennifer, for sharing your stories, and a HUGE thank you to Duane and Steve for everything you do for Freymiller! We couldn’t do it without you. To learn more about becoming a Freymiller driver, visit drive4freymiller.com or call our recruiters at 405-491-2800.